Esteemed Psychotherapist and writer Susie Orbach diagnoses the crisis in our relationship to our bodies and points the way toward a process of healing. Throughout the Western world, people have come to believe that general dissatisfaction can be relieved by some change in their bodies. Here Susie Orbach explains the origins of this condition, and examines its implications for all of us. 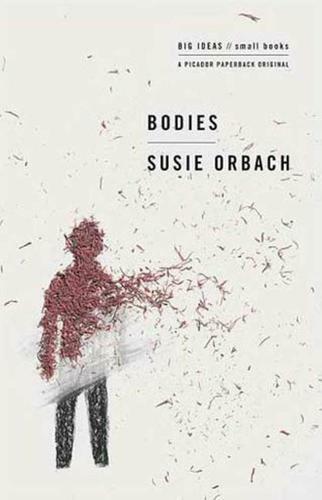 Challenging the Freudian view that bodily disorders originate and progress in the mind, Orbach argues that we should look at self-mutilation, obesity, anorexia, and plastic surgery on their own terms, through a reading of the body itself. Incorporating the latest research from neuropsychology, as well as case studies from her own practice, she traces many of these fixations back to the relationship between mothers and babies, to anxieties that are transferred unconsciously, at a very deep level, between the two. Orbach reveals how vulnerable our bodies are, how susceptible to every kind of negative stimulus--from a nursing infant sensing a mother's discomfort to a grown man or woman feeling inadequate because of a model on a billboard. That vulnerability makes the stakes right now tremendously high. In the past several decades, a globalized media has overwhelmed us with images of an idealized, westernized body, and conditioned us to see any exception to that ideal as a problem. The body has become an object, a site of production and commerce in and of itself. Instead of our bodies making things, we now make our bodies. Susie Orbach reveals the true dimensions of the crisis, and points the way toward healing and acceptance.